The bow section of Nelson’s famous flagship at the battle of Trafalgar. All decks are fully fitted to accurately replicate the construction and type of equipment in use at that time. All fittings and accessories are from wood or metal, and the kit also includes copper tiles for the hull below the waterline. 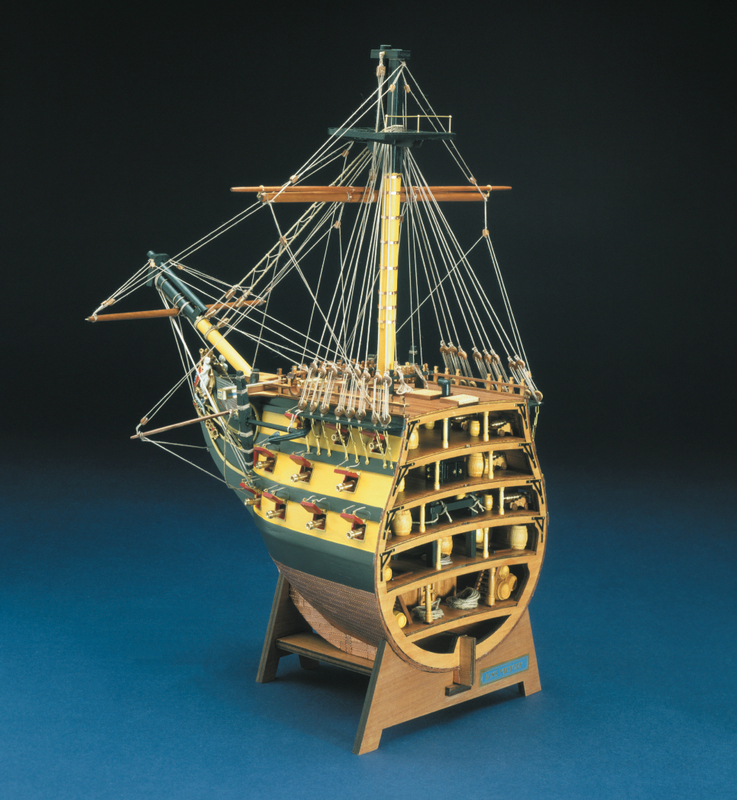 This makes an interesting conversation piece when built and is a fine and unusual model.